Vol 5. Compilation featuring over 3 Hours of Canadian Metal – here. Toronto’s CENTURIES OF DECAY won the 2018 Wacken Metal Battle Canada national final as the beast from the East versus the best from the West, Calgary’s HAMMERDRONE. The bands were the top two from over 70 that participated from across the country and both unleashed their own brutal assault upon the national final crowd. CENTURIES OF DECAY were crowned champion by a panel of metal industry consisting of Gustavo Valderrama (Electric Flow, Navaja Music), Andrew Epstein (Zombitrol, Alan Cross’ A Journal of Musical Things), Charlie Felix (Sound & Noise, Live Talent), Oscar Rangel (Operus, Ex-Annihilator), Wojtek Sokolowski (Wacken Metal Battle Canada), Luc Lainé (CFLX 95.5FM). 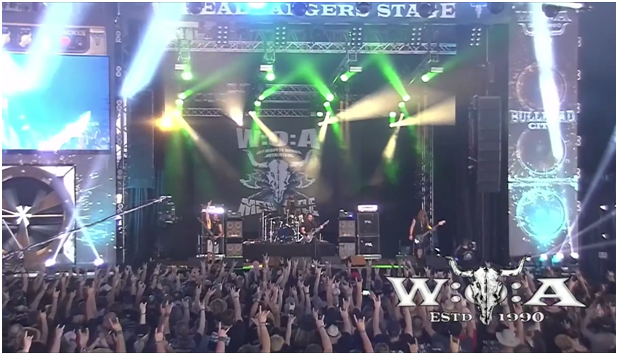 The band went on to perform at Wacken Open Air to represent Canada at the international Metal Battle. They join the list of previous Canadian winners Hamilton’s Profaner (2016), Oshawa’s Vesperia (2015), Montreal’s Mutank (2014) and Toronto’s Crimson Shadows (2013).